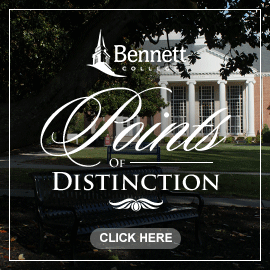 Bennett Belles interview and cover the latest news and events surrounding the College, the North Carolina Triad and more. Check back each week. Ebony Duell hosts this episode of the Weekly Ring, which previews a screening of CBS’s S.W.A.T. and the Fall Open House.